Microsoft has been busy launching new services, designs for established properties, and keeping a number of secrets under wraps in the run up to the eventful weeks ahead. We've been looking forward to this part of 2012 as it'll be when Microsoft unveils Windows Phone 8, Windows 8, Surface tablets, Office, new Xbox update, and - of course - Halo 4. We've already seen Microsoft go big with the launch Outlook.com to replace the aging Live / Hotmail email service, but the software giant has revealed plans to apply changes across the board. Yesterday we covered a detailed blog post that walked readers through the new design that'll be applied to the MSN portal later this month - changes have been applied to Microsoft web properties, including the official website as well as the home of Visual Studio (see above). It's going to be a huge month for the company, who has taken up the task to rebrand with a modern look. From changing the branding of a handful of products and services to incorporating the iconic retro Windows logo colour scheme into the company's replacement design to replace 'Microsoft'. There's a lot riding on the success of all launches we're expecting to see in the next handful of weeks, and the company is investing in a brand new interface for consumers to associate Windows with. Windows Phone Central will be joined by smartphone owners to see what the company has to unveil for Apollo. Details are still believed to be kept locked safe on a foreign planet with not even Russian reviewers being allowed to take a gander through the new hardware. It's a new change for Redmond. 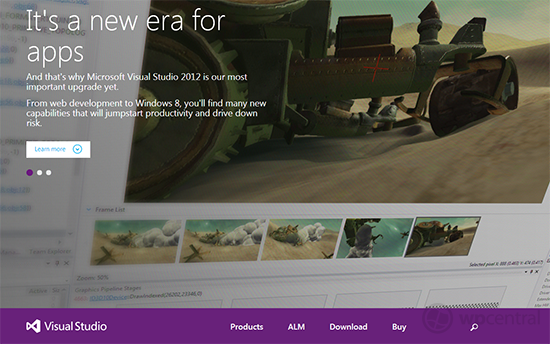 A massive change at that - 2013 will see a new Microsoft. 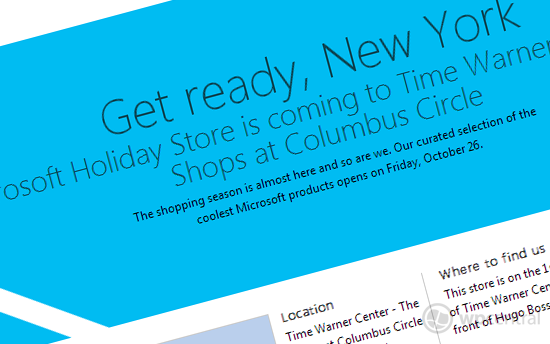 To cope with the potential (and likely) increase in demand for products and services, Microsoft will be opening a number of 'holiday stores' across the US to compliment the ever-growing increase of bricks and mortar Microsoft Stores that have been sprouting up this year. By checking out the recently revamped Microsoft Store website, one can locate the nearest establishment to one's location. It seems as though each and every holiday store is set to open on October 26th. Are you ready to join Microsoft in its system reboot? Thanks, travisbrowny, for the heads up!